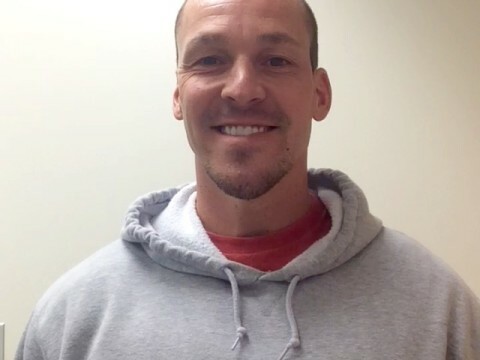 Craig has been training for 19 years in St. Louis, working with clients ranging from professional and amateur athletes to 90 year olds. Craig has also spent considerable time working with MS patients. 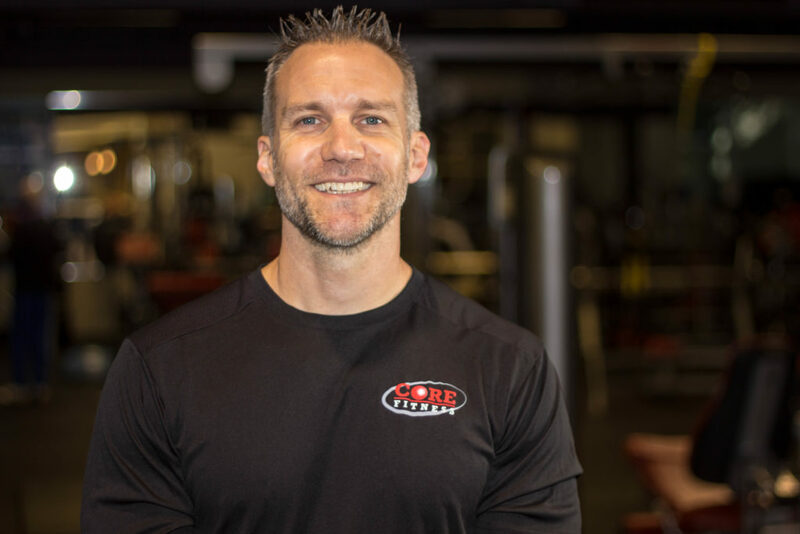 Craig has been training for 19 years in St. Louis, working with clients ranging from professional and amateur athletes to 90 year olds. Craig has also spent considerable time working with MS patients. He believes in utilizing many various training methods, always detailing them to the individual clients’ needs. Injury prevention and rehabilitation are paramount to his daily programming. He strives to mix hard work and fun into a perfect balance. At the core of his beliefs are you can only get back what you put into the workout. Real results can only come from intense workouts. Exercise has become an incredible passion in his life. Working out has become a daily pursuit. Craig likes to spend most of his free time with his wife and two daughters. He also enjoys playing and watching sports as much as possible. Cooking is another favorite activity of his. Combining great taste and nutrition isn’t always easy, but it’s worth the challenge. 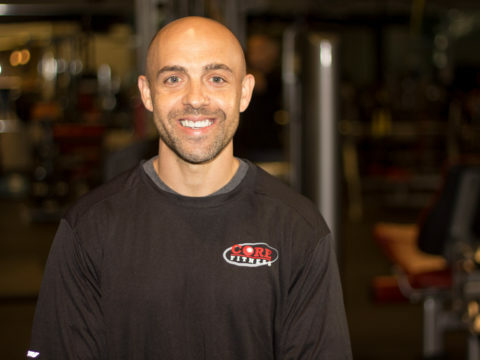 Dave has been in the fitness industry for close to 10 years and is an National Academy of Sports Medicine Certified Personal Trainer and Fitness Nutrition Specialist. 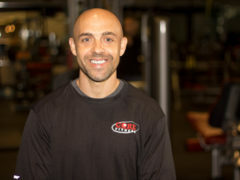 Dave’s knowledge, creativity and passion for health and fitness makes him a great trainer and coach. His specialties include weight loss, meal planning, and program design. Health and Fitness is more than just a hobby for Dave, It’s a way of life. Dave also has a passion for sports and when he has free time you can usually find him at Busch Stadium taking in a Cardinals game or any other sporting event in the area. In high school he lettered in Varsity basketball and baseball where he learned the importance of teamwork, great coaching and dedication. Jessica Cameron has been in the fitness industry for over 15 years. She started teaching kickboxing during graduate school and realized her true passion was in fitness. She is certified through the National Academy of Sports Medicine. She is also certified in group fitness, kickboxing, TRX, yoga, RIPPED training and Cage Fitness. She has her degree in psychology and masters degree in social work and they are beneficial when addressing the mental side of fitness and motivation. Jessica is the mom of three and appreciates the challenges of juggling a busy life and finding time to workout. She loves helping people learn to prioritize their health, learn to enjoy exercise and achieve their goal. From athletes, busy VP’s, students and single parents, Dallas has helped people turn their lives around with the perfect mix of encouragement, humor, discipline and fun. 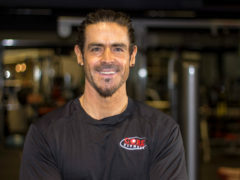 His expertise includes weight/resistance training, advanced stretching, yoga, cardiovascular/aerobic training, cycling, rock climbing, stand up paddle boarding, plus circuit, cross and interval training. Since 2008 Dallas has posted online, hundreds of articles regarding fitness and nutrition. Dallas has given several corporate seminars to companies throughout the St. Louis are. 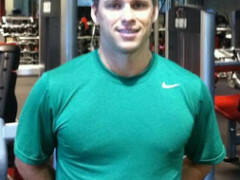 He has given group exercise courses to future brides and young women going to prom. Dallas is also a supporter of the American Lung Association and contributes/competes in St. Louis’ “Master the Met” event. With Dallas’ personalized workouts and diets, this West County native incorporates his personal training experience and engaging personality to get people of all ages moving and digging deep to get their best results. Dallas has been a fitness expert and wellness coach for over 10 years. In addition, he owns and operates, DWYCI Fitness, where he has worked with physical therapists, doctors, and chiropractors. 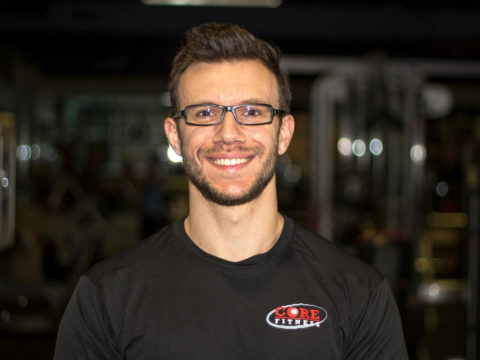 His passion for fitness began when he trained for sports in high school. From there he played collegiate baseball and football at Blackburn College. Since then Dallas has competed in stair racing, a half marathon, mount bike racing, and rock climbing. Dallas’ current personal training certification is through American Council on Exercise (ACE) and is CPR and First Aid Certified. Outside of living an active lifestyle, Dallas is working with local non-profits to help St. Louisians fight the battle of obesity. I came to physical fitness through a personal desire to lose weight and get in shape after struggling with childhood obesity. Prior to entering the fitness world I weighed over 300lbs. With hard work, dedication and committing myself to research and fitness education I lost over 100 lbs without assistance. Once I lost the weight, I traveled to Florida where I studied at the National Personal Training Institute and completed 500 hours of training including nutrition, exercise design, anatomy and physiology. After which I returned to St. Louis and began training at 24Hour Fitness. Where I have taught over 10,000 sessions and achieved master trainer status. My desire is to teach people that there is no magic to achieving their fitness goals; only the willingness to change their lifestyle. Using a well designed wholistic fitness plan, that includes nutritional advice, they can see success with hard work, commitment and a little bit of fun; a desire that stems from my journey. My personal experiences drive me to constantly research new techniques that allow me to tailor unique workouts for each of my clients. While weight loss is certainly a professional strength, I have excelled at training a variety of clients from child athletes to clients looking for post physical therapy and chronic pain management. With 14 years in the fitness industry and a passion to help others succeed, Dennis possesses the knowledge and positive energy to teach his clients how to reach their goals and have a blast in the process. He specializes in individualized training which is necessary as no two bodies or people are the same. Working in a close relationship to the medical field, he has learned how to strengthen the body to help cure and prevent future ailments. Dennis has trained people as young as 13 years old to 75 giving him valuable experience given any situation. From top level athletes to the everyday office worker. 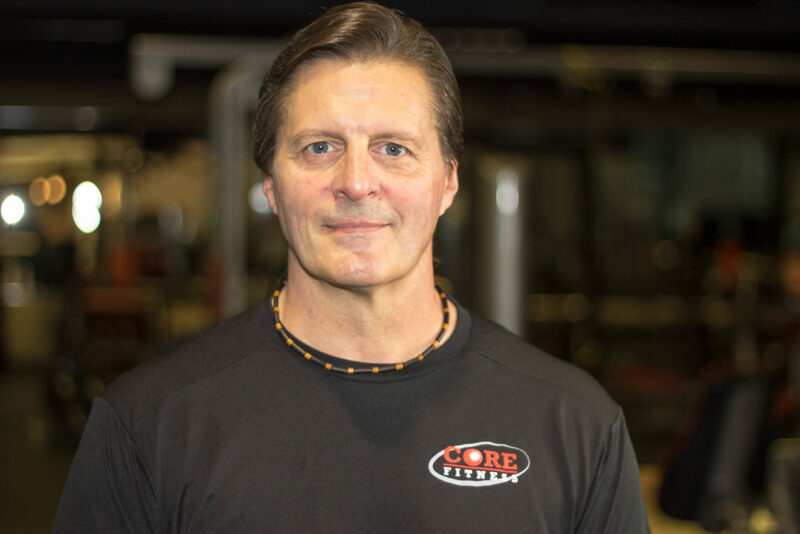 I am a certified personal trainer with over 34 years of practical experience. I have a Black Belt in Tae Kwon Do, I’m certified in low –impact group aerobics and in level 1 Pilates Reformer. My goal is to help my clients understand how their lifestyle affects their health and their ability to reach their fitness goals and then make the necessary changes. I train anyone willing to learn young or old, able or disabled. While I’ll do make home visits, I prefer to meet my clients at Core Fitness. Its staff and personal trainers are rich with knowledge and experience and this make for the perfect training environment. I have trained all ages of individuals from 10 years to 91 years old. I have worked with heart attack victims, people who have herniated discs to doing post rehab on knees and shoulders. I am presently working with two adults who were born with Congenital Muscular Dystrophy. You can reach me at 314-409-8183, e-mail: jmpylipow@yahoo.com or just leave a message at the Core Fitness Front Desk. One of Patrick's core beliefs is that the more physically fit one becomes, the more one experiences balance in other aspects of life. 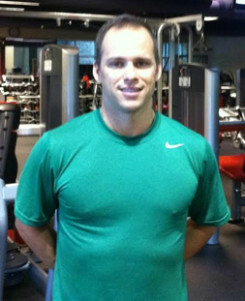 Patrick Rooney is an NASM (National Academy of Sports Medicine) certified personal trainer with 15 years of experience. Patrick began his training career at The Greater YMCA of St. Louis where he also worked as a spinning instructor while completing his B.A. in business management at Webster University. After college, Patrick moved to California where he continued his personal training career at LA Fitness while also maintaining his own boutique clientele. 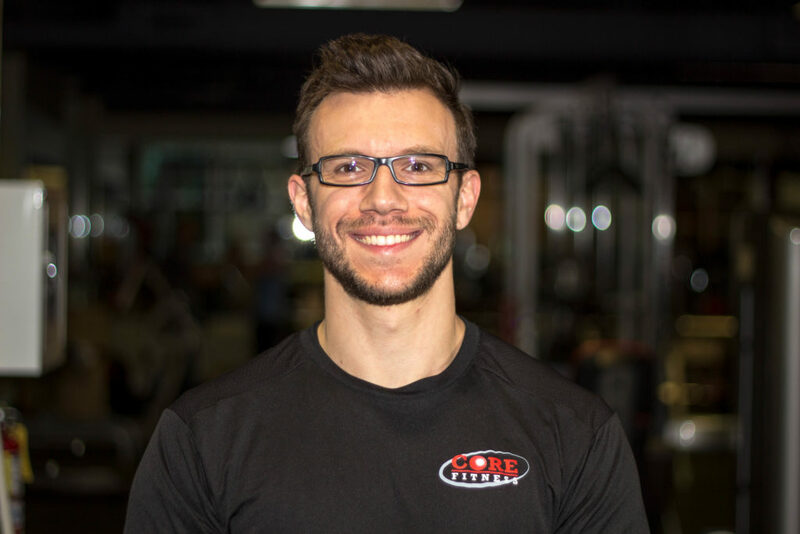 Having returned home to St. Louis full-time, Patrick is excited to bring his experience and passion for physical fitness to Core Fitness. One of Patrick’s core beliefs is that the more physically fit one becomes, the more one experiences balance in other aspects of life. 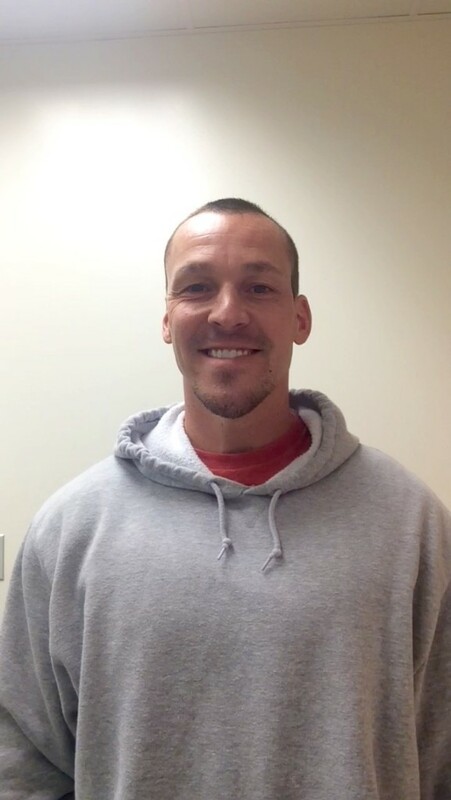 Jeremy Koerber, MA is the owner of Integrated Wellness Concepts. 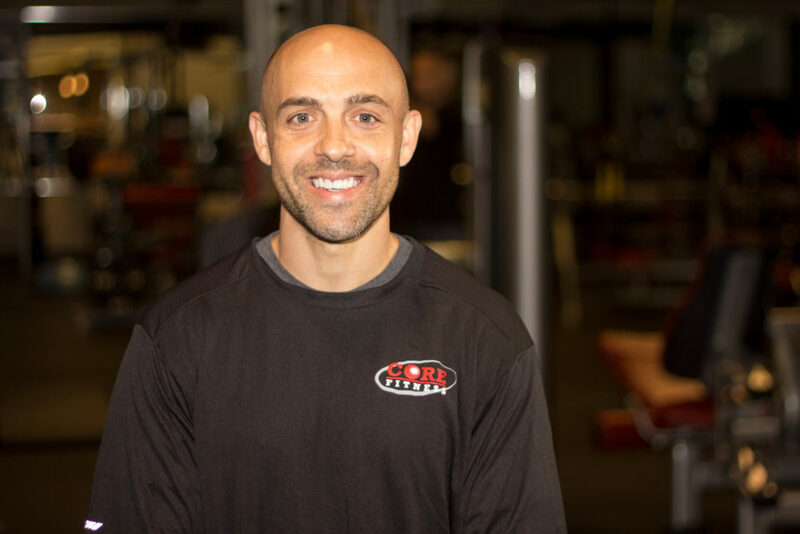 He is a certified Health/Fitness Specialist through the American College of Sports Medicine and has over 13 years experience in the health and fitness industry. 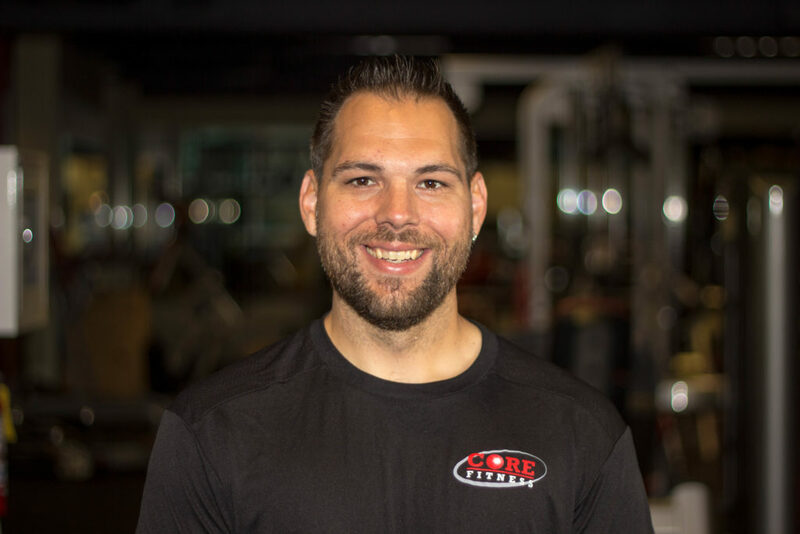 His philosophy is to create wellness plans and exercise programming that focuses on integrating physical and nutritional concepts into his client’s lifestyles that fit their objectives and interests. 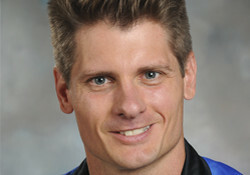 Jeremy combines the latest in exercise science with a common sense approach that fits the program to the personality. 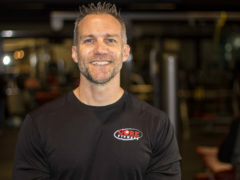 Jeremy has appeared as a health and fitness expert for television stations such as KPLR Channel 11 and KSDK channel 5 and KMOV Channel 4 in St. Louis, MO. He has also appeared on Charter Communication’s Get Hooked on Health and been featured in publications such as the St. Louis Post-Dispatch and St. Louis Magazine. Co-Author of 101 Ways to Improve Your Personal Training Business now available here. Debbie has 25 years experience in the fitness world, beginning with 4 years in the bodybuilding arena. Debbie is an Advanced Certified trainer with specialties in Women's Wellness, Program Design and Nutrition. Debbie has 25 years experience in the fitness world, beginning with 4 years in the bodybuilding arena. She won several titles and qualified for Nationals 2 times in her career. Soon after she decided that she wanted to share her passion with others and started her career as a fitness trainer. Debbie has trained hundreds of clients all with different fitness goals, including professional, high school athletes and TV personalities. She has been seen in TV and newspaper features on fitness. 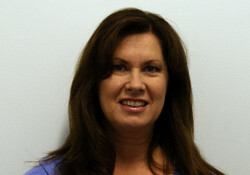 Debbie is an Advanced Certified trainer with specialties in Women’s Wellness, Program Design and Nutrition. Along with her career as a personal trainer, Debbie has decided to expand her knowledge in the medical field and is currently acquiring her physical therapy aide certificate. Debbie’s focus in her training is to create an environment of wellness and improve strength to help her clients prevent future injuries while reaching higher levels of function on a daily basis. 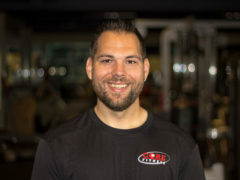 Lori is happy to see clients now at Core Fitness in Des Peres, and welcomes the opportunity to train the elite & recreational athlete as well those with general fitness goals. 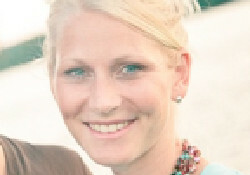 Growing up in Quincy, Illinois, Lori Thomas was the youngest in a line of seven athletic children. 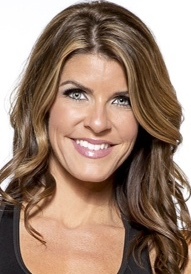 Excelling at soccer, volleyball, gymnastics, and dance, she was a 3-sport athlete at Quincy Notre Dame High School (‘95), but focused on soccer when she attended Washington University in St. Louis (‘99). A four year starter for the Bears, Lori holds the school’s season record (‘98) for goals (31), assists (16), points (78), and game-winning goals (9). She ranks 2nd in career goals (71), assists (38), & points (180). As a freshman in the 1995 season, she led her team to the school’s first University Athletic Association (UAA) conference championship and NCAA tournament appearance. Then, in 1997 & 1998, Lori led the team to NCAA 3rd & 5th place finishes, respectively. She was a 4-time all-UAA Conference & 4-time all-Region selection, and was named UAA Conference Player of the Year in 1998. Lori was awarded by Chancellor Wrighton Wash U’s prestigious W. Alfred Hayes Award for outstanding leadership in athletics when she graduated. In the Pre-Physical Therapy curriculum at Wash U, she earned her degree in Psychology in 1999 but realized her love of athletics and desire for a career in health care could be combined in the field of sports medicine. In 2002, she received her master’s degree from Illinois State University’s Department of Kinesiology & Recreation, specializing in athletic training. As a graduate assistant at Illinois Wesleyan University, she also started her collegiate soccer coaching career, assisting head coach Dave Barrett (‘01). Returning to St. Louis in 2002, Lori gained additional experience in outpatient rehabilitation clinics and strength & conditioning facilities, and continued her collegiate coaching career, this time at her alma mater. Assisting then head coach Wendy Dillinger (‘02-‘07) and current head coach Jim Conlon (‘08), Lori focused on the technical game of the attackers while designing & instructing the year-long strength & conditioning program. In her 7 seasons with the Wash U Bears, Lori’s program was successful in minimizing injuries and maximizing soccer-specific fitness, leading to 5 UAA Conference Championships and 5 NCAA Tournament Appearances. During her tenure at Wash U, in 2004, she realized a dream of playing semi-professional soccer with the St. Louis Archers, and in 2005 realized another dream of starting her own business practice, Khazen AthletiKare. Lori combines her athletic training and strength & conditioning certifications with years of experience with youth, high school, collegiate, and adult elite and recreational athletes. In 2006, Lori was honored to be inducted in the Hall of Fame of both Quincy Notre Dame and Washington University in the same year. In 2009, via Khazen AthletiKare, Lori accepted the position of athletic trainer for Webster University’s men & women’s soccer programs. In the last 5 seasons, she has been an integral part of the sports medicine team, heading up injury prevention, early injury recognition, and return to play programs for the Gorloks. In addition, Lori was an adjunct faculty member at both Saint Louis University and Webster University, teaching classes in athletic performance enhancement and exercise physiology, respectively 2010-2014. Lori believes education is a primary component to success, and brings both fundamentals & current research her clients in their mental and physical efforts. In 2014, Lori was incredibly honored and excited to accept the position of assistant head coach under veteran head coach Luigi Scire and long-time assistant Mike Hutchison. Lori uses her strengths as an athletic trainer, strength & conditioning coach, and technical specialist for attackers to help enhance the already-stellar Gorlok squad. Webster finished 14-5-3 in 2014, going 9-0 in the SLIAC, winning the regular season SLIAC & tournament championships, and receiving the NCAA automatic bid. Lori continues her work with her business, Khazen AthletiKare, celebrates its 10th Anniversary in June 2015! She is happy to see clients now at Core Fitness in Des Peres, and welcomes the opportunity to train the elite & recreational athlete as well those with general fitness goals. 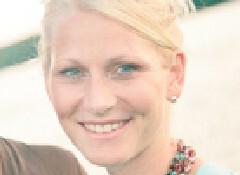 Contact Lori today to schedule your “Starter Pack”…fitness & nutritional assessment, and 3 follow-up private sessions! Lori is married to her college sweetheart, Pete Khazen, and they have 3 children…Emary (7), Gabriel (6) and Christian (3). 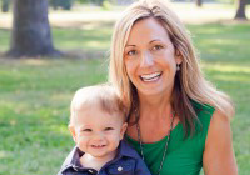 Christy has two small children and realizes how difficult it is to stay healthy on a busy lifestyle. It inspired her to recently launch her blog www.readyin30.com which offers workouts and meals in 30 minutes or less. Christy has always loved helping others and always loved fitness and nutrition but decided to put the two together after losing her Dad to heart disease. Not only was exercise a great stress reliever for her during difficult times, but she became more passionate about helping others develop a healthier lifestyle. It’s so easy to be unhealthy, but so rewarding to be healthy. She decided to break away from her corporate sales job to pursue her dreams. She started her own company, Inspire Fitness STL which offers personal training, group fitness and a six week nutritional program. She loves to challenge people while making it fun! She believes in changing up routines constantly to keep the body guessing and to reduce boredom for her clients. When you feel better and healthier, everything in life is better! Want to say hello or get on the road to being fit to the core?